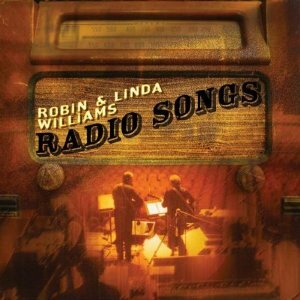 Robin and Linda Williams have been together for more than 35 years and have been featured on A Prairie Home Companion for almost as long. This collection of 19 of their country-flavored folk performances there demonstrates that besides helping them to garner a following, the show has fostered their artistic growth. As they say in the liner notes, host Garrison Keillor has consistently encouraged them “to step out of our normal repertoire to expand the music that we present.” Thus, while this CD includes numbers they often perform, it also features some they’ve rarely sung and never recorded. Highlights include the World War II classic, “We’ll Meet Again”; “50,000 Names,” about the Vietnam War memorial; Lefty Frizzell’s “Mom and Dad’s Waltz”; and such originals as “So Long, See You Tomorrow.” Like Keillor’s show, these spirited readings often seem delightfully anachronistic. If you appreciate harmony vocalizing in the tradition of the Carter Family and the Weavers, this is a safe bet.